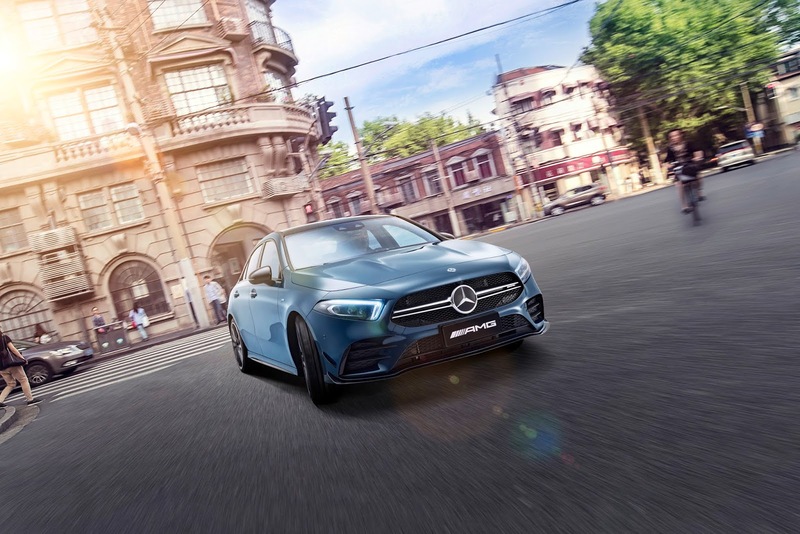 With the introduction of the new A 35 L 4MATIC, Mercedes-AMG hopes to attract younger buyer groups in China. The highly responsive engine, agile handling, an acceleration time of 4.9 seconds for 0-60 mph and a top speed of 155 mph also meet customer wishes for high driving dynamics in the compact segment. The four-door notchback is based on an extended wheelbase of 2789 rather than 2729 millimeters and displays the powerful proportions of a dynamic and at the same time compact saloon car with sporty, short overhangs at the front and rear. The radiator grille with twin louvers, the AMG Line front apron with flics on the air intakes, a front splitter, and glossy black trim elements are distinguishing AMG design features. The 2.0-liter four-cylinder turbo engine boasts a spontaneous response to accelerator pedal commands, high tractive power (400 Nm max. torque from 3000 rpm), supremely lively response and an engine sound typical of AMG. The crankcase made of high-strength, lightweight die-cast aluminum reduces the vehicle weight where it matters most for driving dynamics. A twin-scroll turbocharger is used for turbocharging. It combines optimum responsiveness at low engine speeds with a strong power increase at higher speeds. In the side view, the 19-inch light-alloy wheels in multi-spoke design and the side sill panels of the AMG Line catch the eye. The two-part tail lamps and the new diffuser insert underscore the rear end that emphasizes width. Additionally, there is the spoiler lip on the boot lid and the two round tailpipe trims positioned on the extreme left and right. 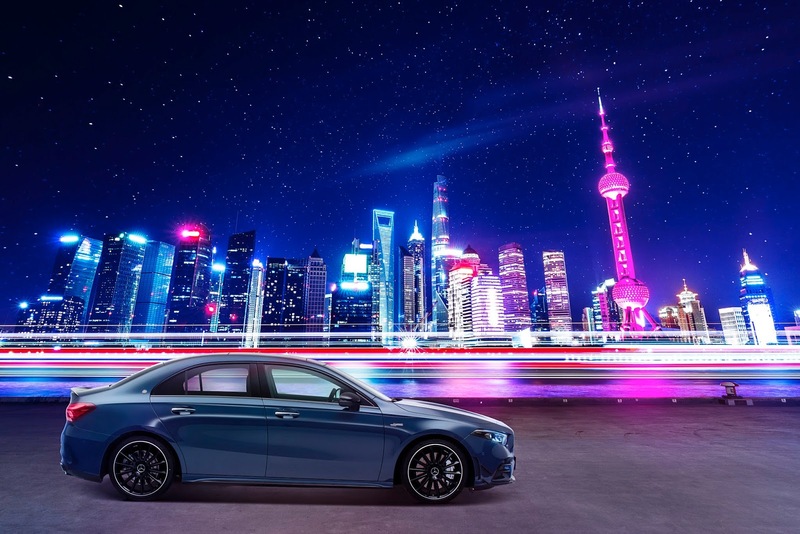 Chinese customers are young and connected, and the intuitive infotainment system MBUX gives them an individual, digital experience. Emotionally appealing presentations underline the clear control structure and feature brilliant maximum-resolution 3D graphics. And needless to say, the trailblazing voice control activated with the words "Hey Mercedes" is also on-board. Thanks to artificial intelligence, MBUX recognizes and understands nearly all sentences from the fields of infotainment and vehicle operation, even if they are expressed indirectly. With the new, optional MBUX interior assistant, selected functions of the infotainment system can be operated touchless, and the reading light can be switched on and off. 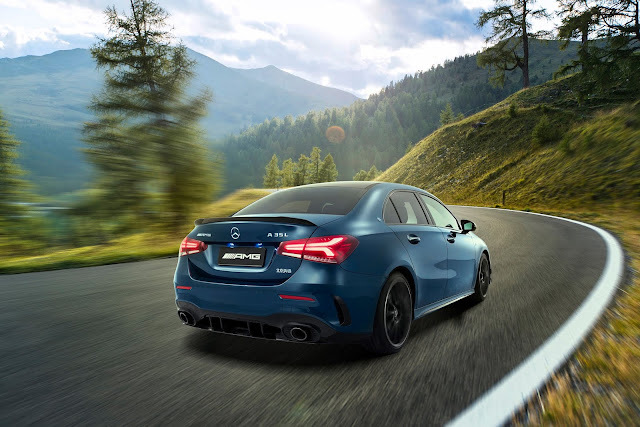 The AMG Night package, which also comes as standard, underscores the sporty-expressive vehicle character with striking black design elements. Additionally, there are the heat insulating dark tinted windows from the B-pillar.